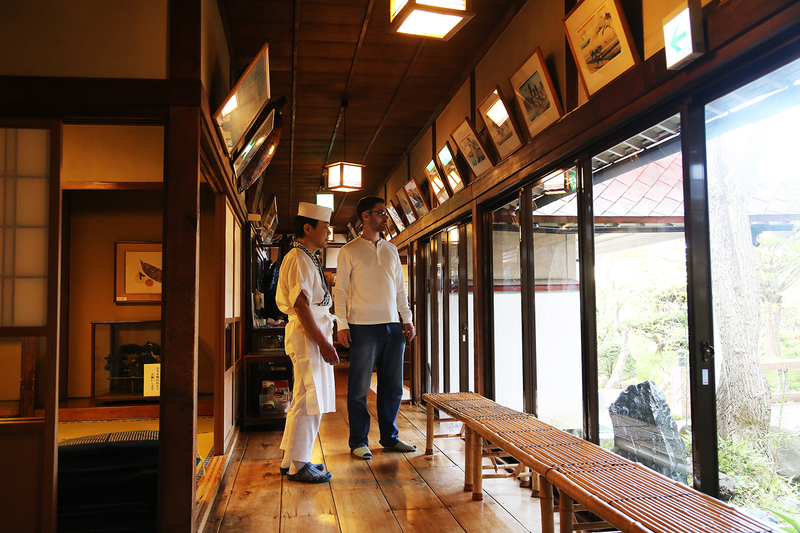 Chikurouen's flagship store is one of the oldest soba noodle restaurants in Hokkaido. With a history of over 140 years, this specialist restaurant has honed its skills and is still striving to improve on its authentic local noodles. 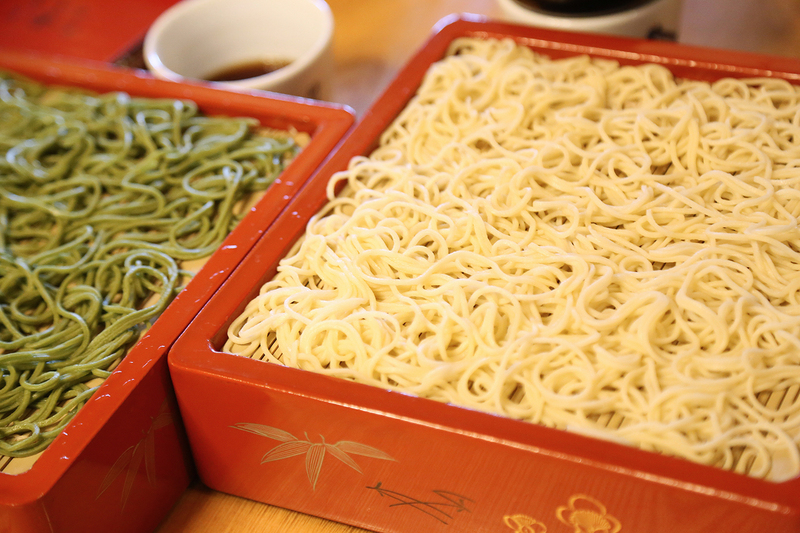 Kushiro soba noodles stand out from the rest - they're green! That's because they're made from new buckwheat. 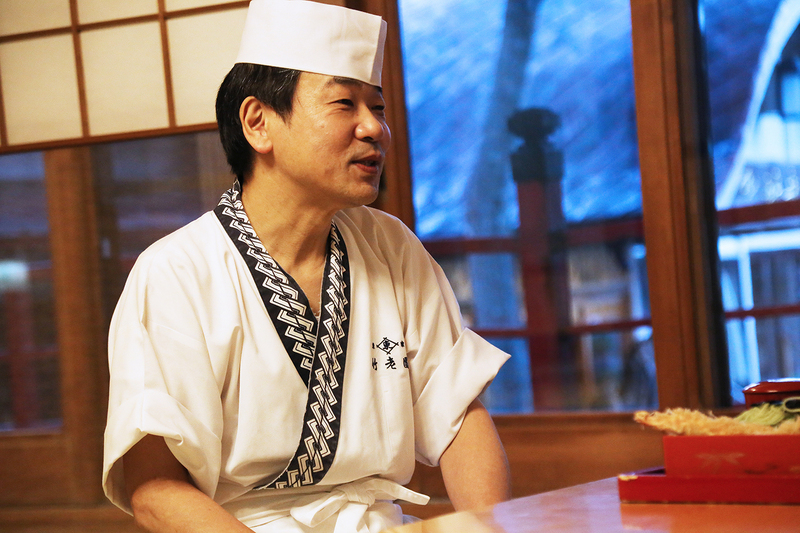 The founder of Chikurouen is said to have wanted every customer to enjoy soba noodles made from new buckwheat, and that tradition is still alive today. 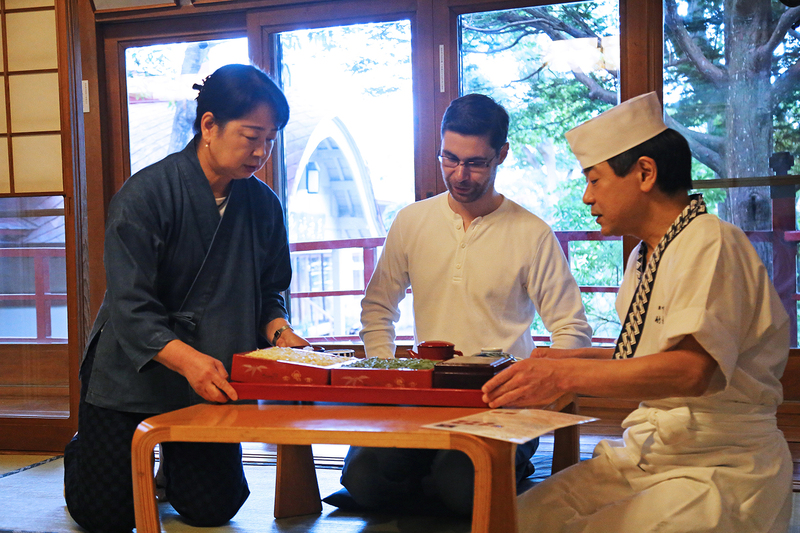 Chikurouen’s premium course meal is made with rankiri-soba, a type of egg-bound soba noodles that were served when Emperor and Empress Showa visited Kushiro. The dish also includes soba sushi (sushi that substitutes vinegared soba noodles for rice), kashiwa-nuki (a soup containing chicken strips and various vegetables. 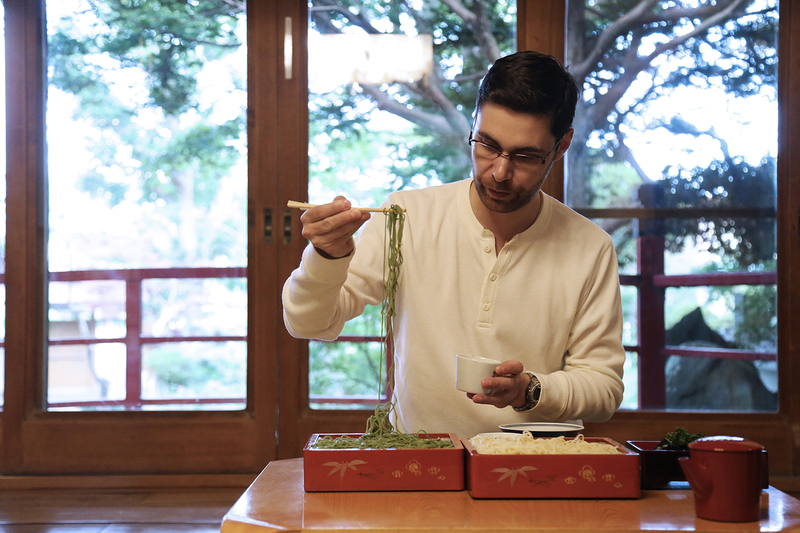 This dish usually contains soba noodles, but these have been removed to create this version of the dish) and green tea soba noodles.